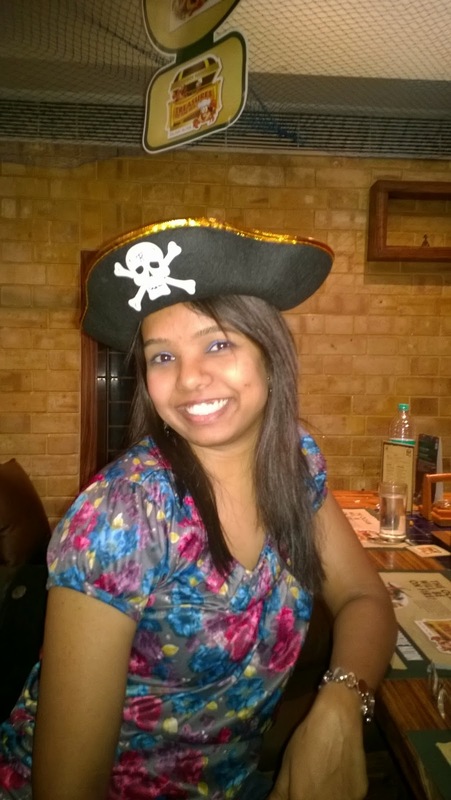 I love seafood festivals as I am sea food lover. 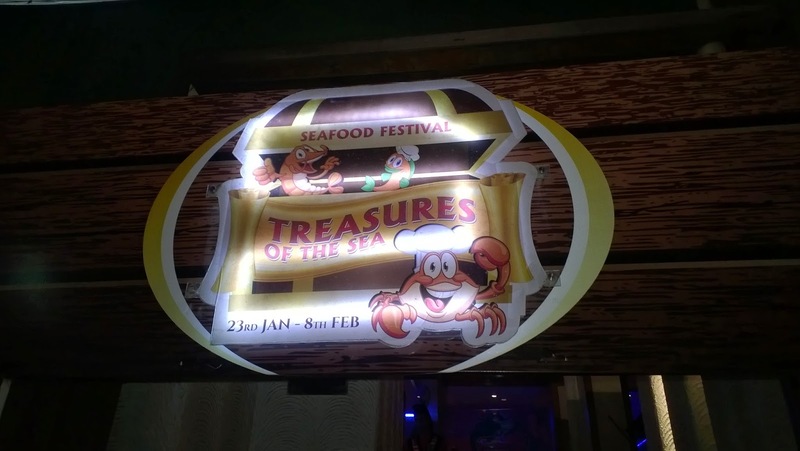 This time I was invited to be part of 'Treasures of Sea' festival at Barbeque Nation, Indiranagar. 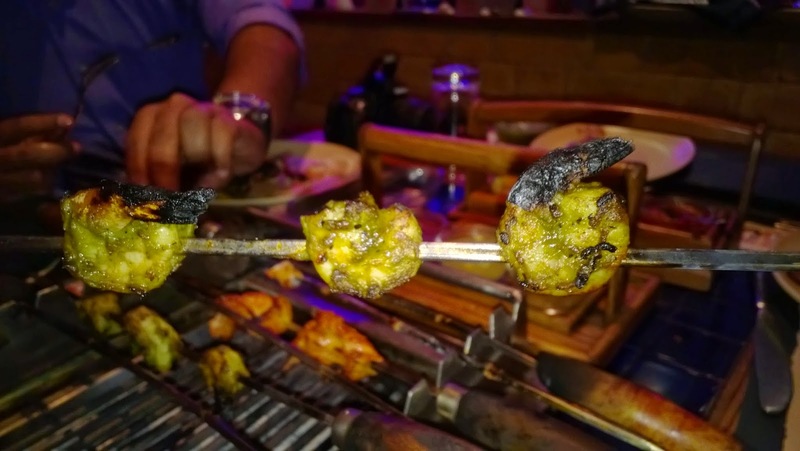 I am sure most of us visit Barbeque nation with group of friend's, esp on cheat days to indulge in their lip smacking starters and heavenly desserts. 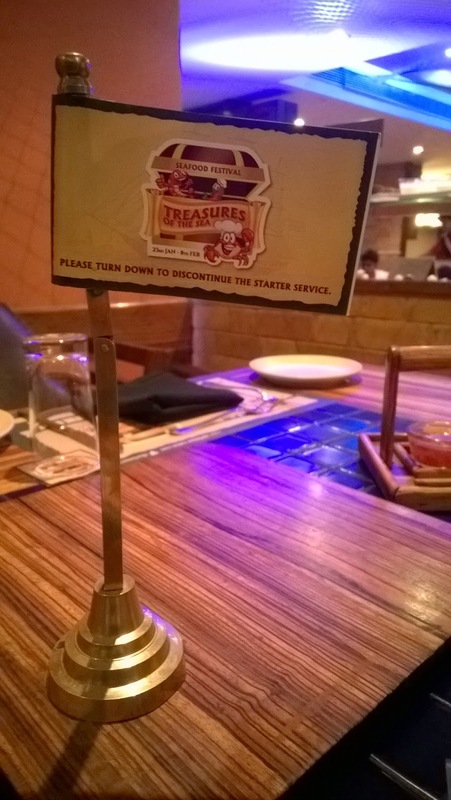 Treasures of Sea was all about enjoying sea food at Barbeque Nation from January 23rd to February 8th. 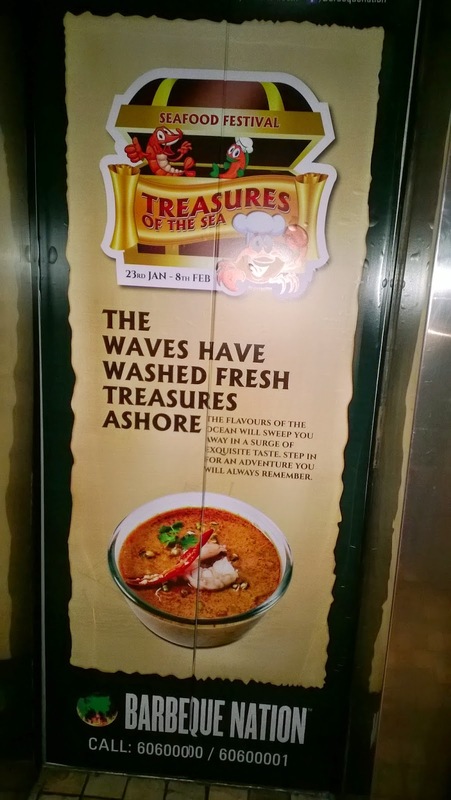 I was excited to check out the various sea food which would be served. 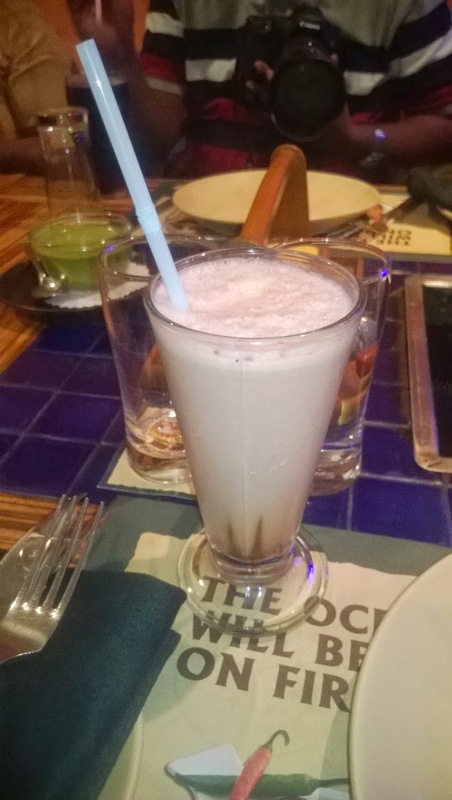 For drinks, I tried the Chocolate monk. It was a drink resembling chocolate smoothie, stand alone I loved this drink and wouldn't mind having it on a daily basis but not for my meal as it would fill my tummy and also doesn't pair with my food. 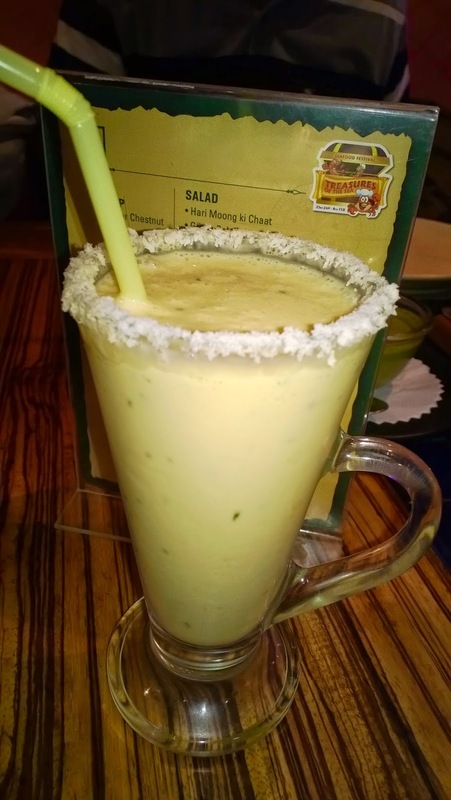 I also tried Mango Rapture which did not suit my taste as it was too heavy for my meal. So I moved to Lime soda for the evening which would help me eat and also would pair with my food. I couldn't for starters to be served. Crispy fried anchovy with Tamrind sauce, Jamaican jerk chicken, crumb fried squids with aioli dip, Mai Thai prawns, Maryland crab cakes, Mutton Galawati and Basa Peri peri were served. 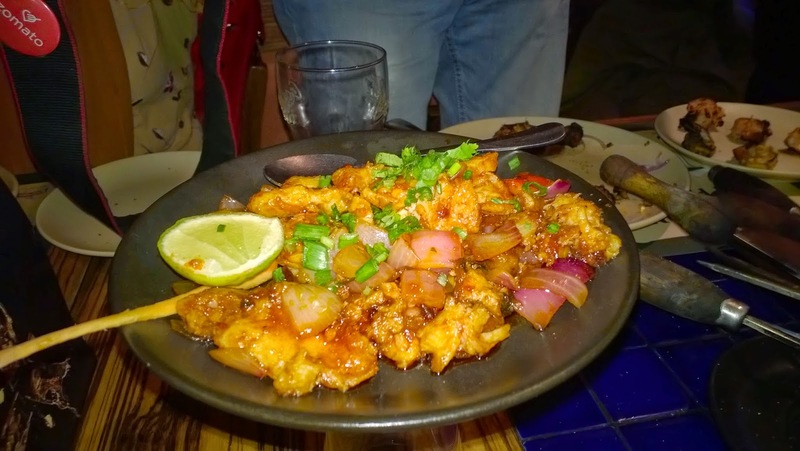 I loved Mai Thai prawns, Basa Peri Peri, Mutton Galawati and Jamaican jerk chicken and did not repeating it throughout the night. 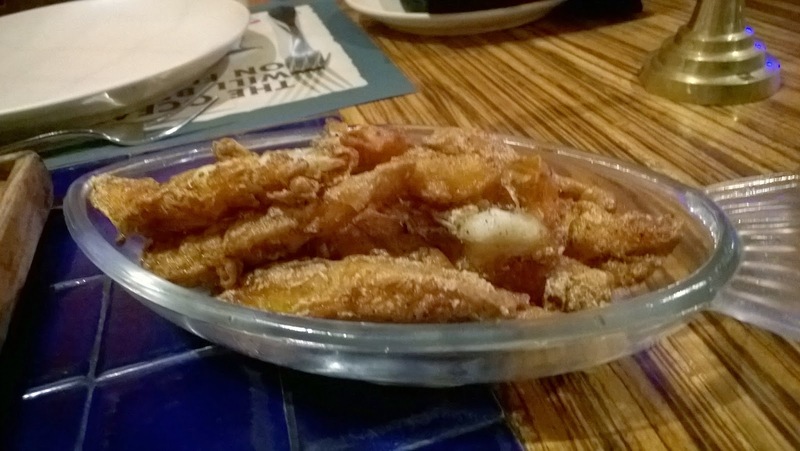 Crumb fried squids does not suit my taste and so did crispy fried anchovy. 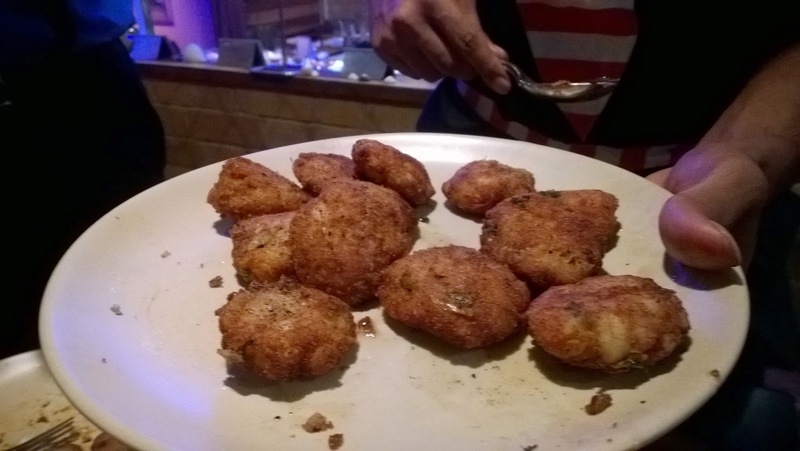 Maryland crab cakes were decent and were made to perfection. I tried different dips to glaze the starters and enjoyed it. 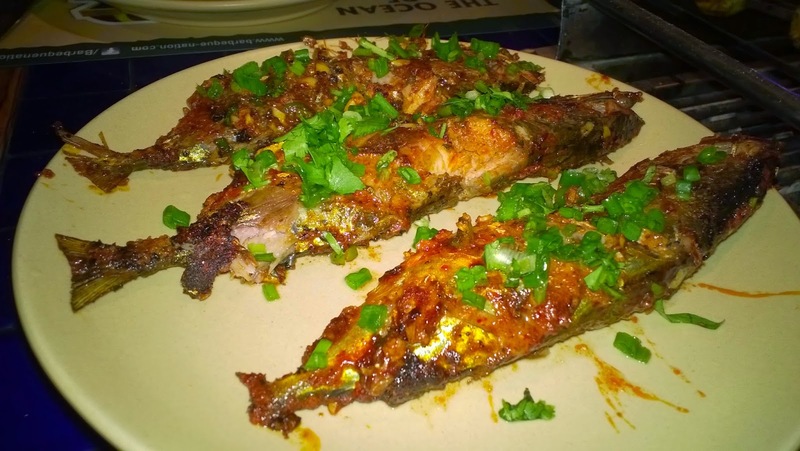 From the live counter, which is billed separately for the customers, 2 variants of fish was served and they were totally different to taste. I liked the fish manchurian more. Trying to stop myself for indulging in more starters, I headed to the buffet to try the soups and salad's. Seafood laksa was superb, though it had less of seafood in it, I did not mind as I felt refreshed and more hungry after I had it. 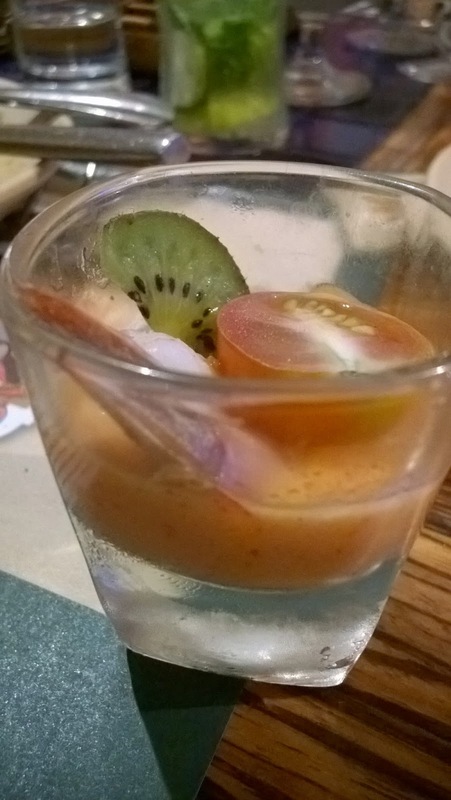 I tried the prawn cocktail salad which is one of my favorite's and Barbeque nation maintained the taste of the cocktail dressing which made me happy. I did not try strawberry and chicken salad and assorted seafood platter. 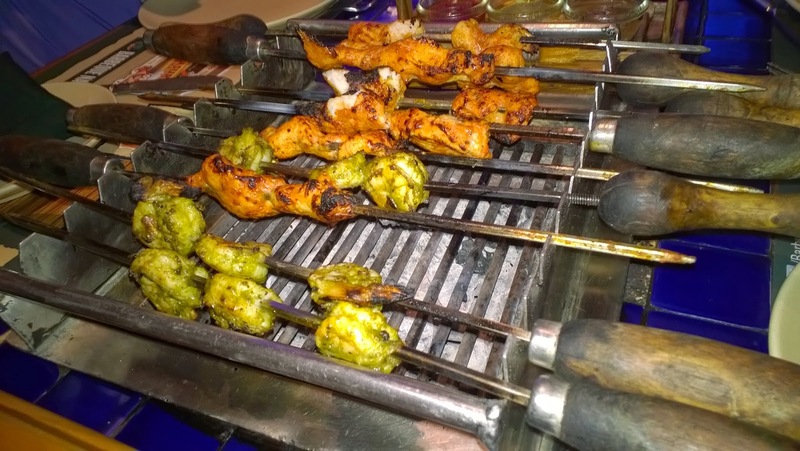 Main course has always been average at Barbeque nation, mainly because the starters are to die for. The standard of main course as maintained. 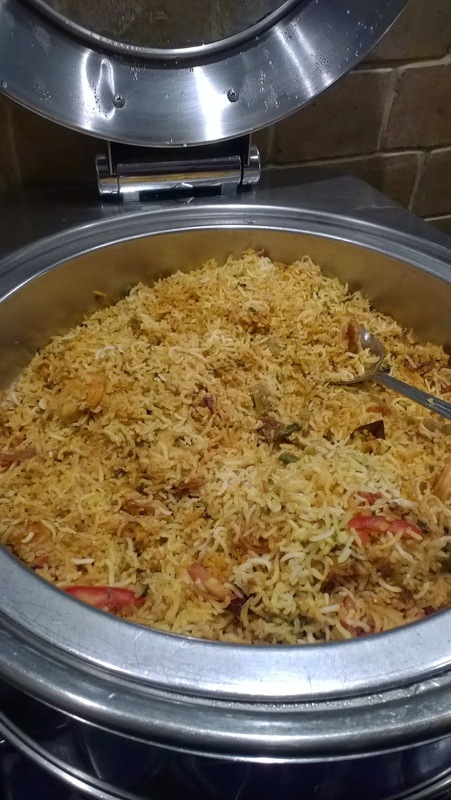 I tried prawn biryani which was pretty good. 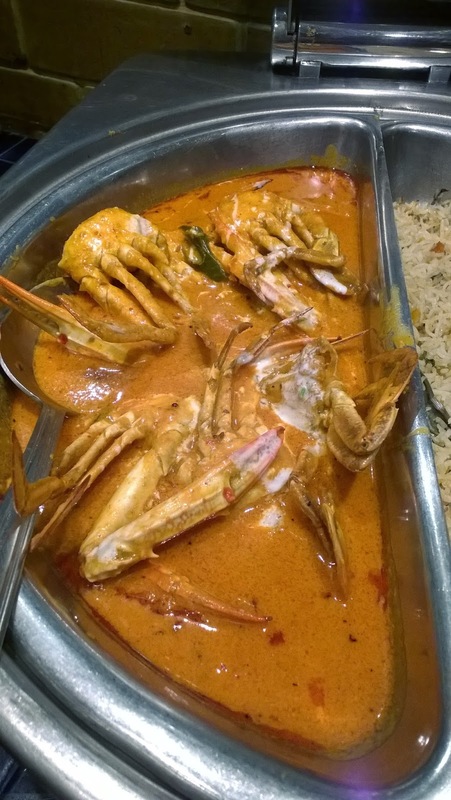 Meen moilly and Mangalorean crab curry excited me which should be eaten with Iddiappam. 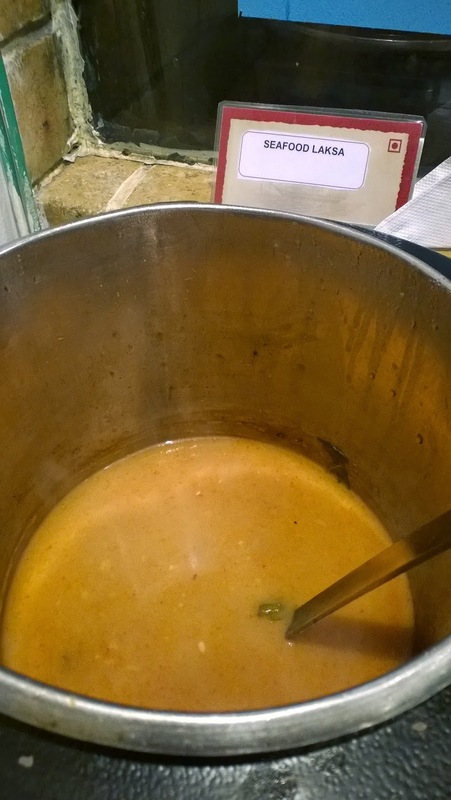 I did not get Iddiappam on time so I just had the taste of the curry. 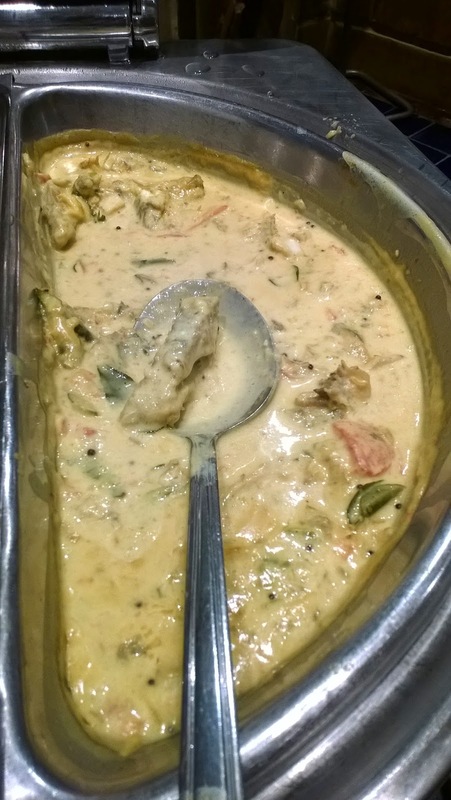 Crab curry did not have much flavors in it and hence it did not excite me more while Meen moilly was good. 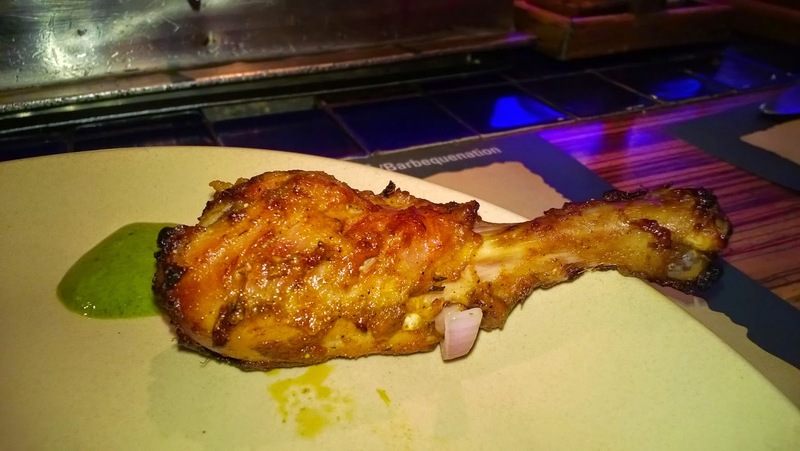 I did not try Mutton Vindaloo, Bhuna Kukkad masala and Nasi Goreng. The staff had also planned a small performance for the guest. It was enjoyable. You can watch the video here. Time for dessert. 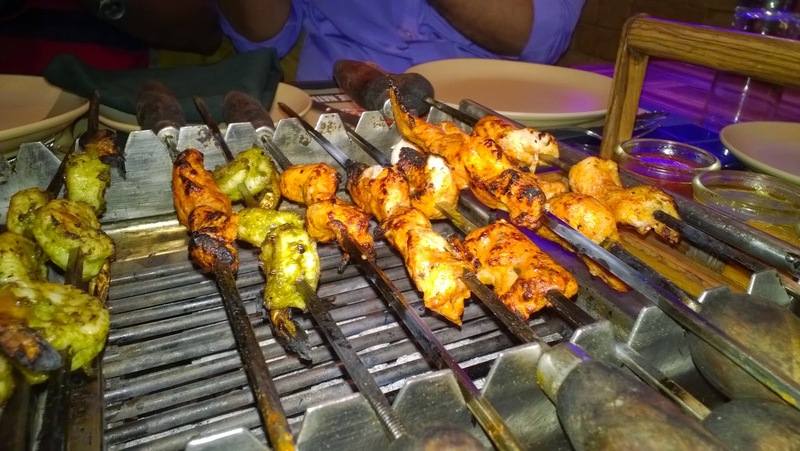 At Barbeque nation I always indulge more in starters and desserts. So I headed to the dessert counter with a twinkle in my eye to check the varieties. 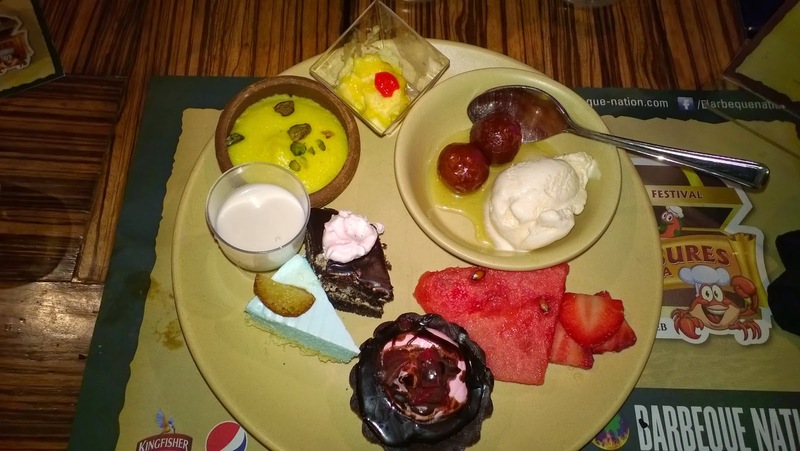 Small gulaab jamoon, tender coconut payasam, death by chocolate pastry, blue sea cheesecake, chocolate strawberry tart, mango mousse, phirni along with fig and honey ice cream and some fruits were placed. 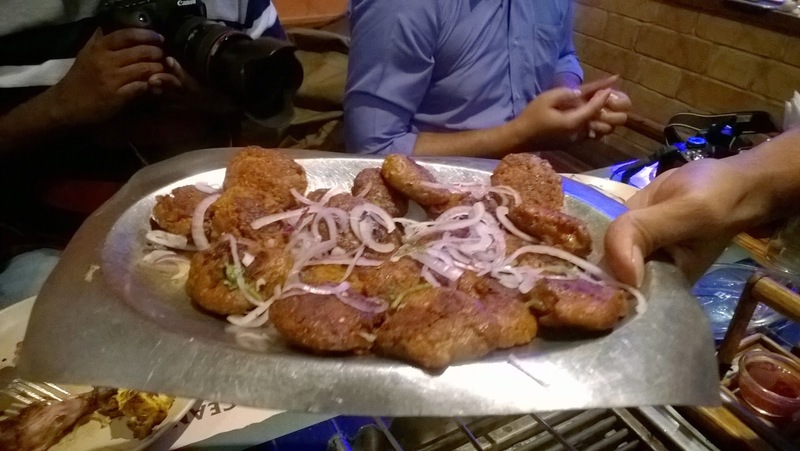 I made sure I picked all of it on my plate and made sure my fellow blogger friends were also served. I loved all the dessert and couldn't resist having another round of the same. 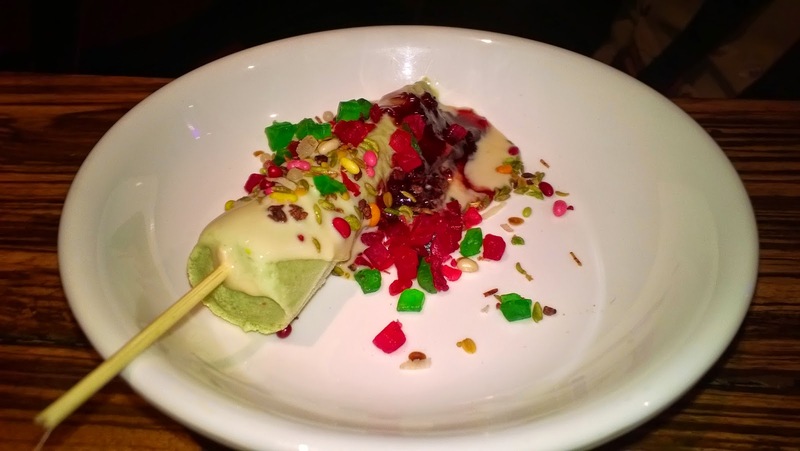 How can one not have the famous paan flavor kulfi. This was repeated on the table till we made sure we left the premises. 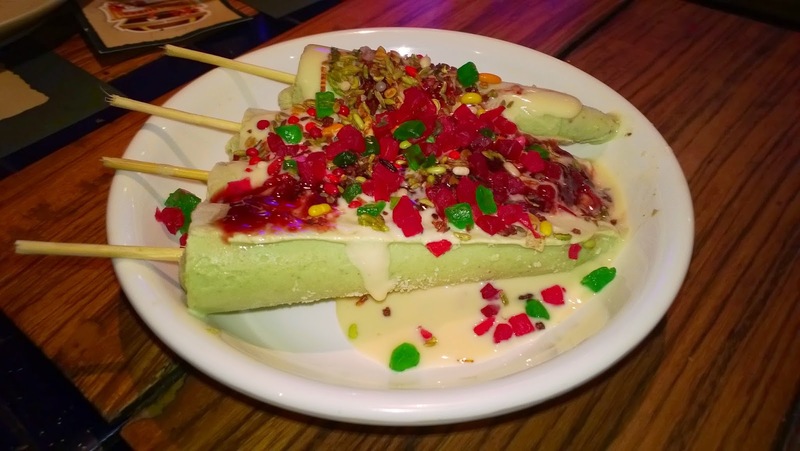 Make sure you have this kulfi as you will not regret the decision. 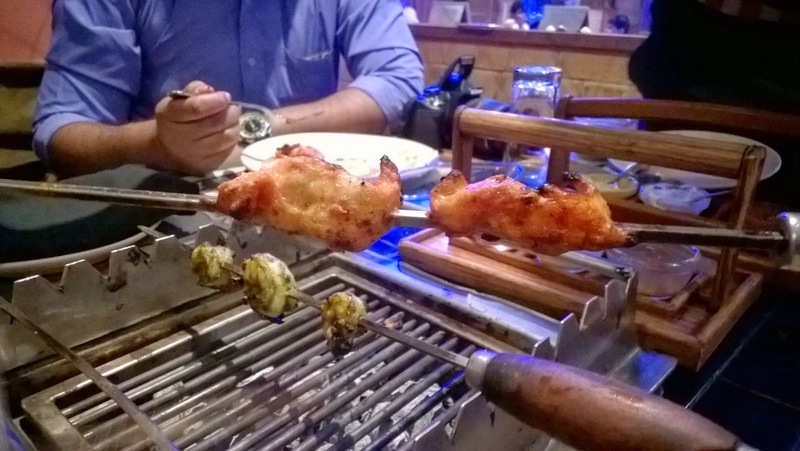 Over all, an enjoyable evening was set by Barbeque nation for seafood lover like me.